We have many activities going on, here at photo book diner MEGUTAMA. Support for Himalaya primary school. With the support of Japanese High schoolers’ volunteer group, Himalaya primary school, a welfare school, started in Bungamathi village, south of Kathmandu, Nepal. As of January 2014, there are 3 kindergarten classes, 5 elementary classes (grade 1~5), 100 students aged between 4~16 years old, enjoying and studying to strive for their dreams to come true with the Japanese supporters. 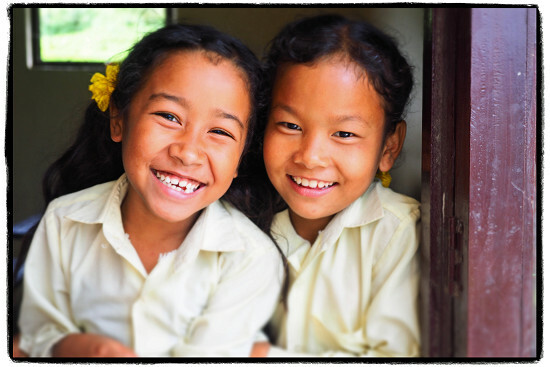 The children at the Himalaya primary school are not only poor, but some of them belonging to the “untouchable”, the deep-rooted caste system in the Nepali society, receive harsh treatment being in the lowest social group in the caste. At MEGUTAMA, our “Himalaya primary school MEGURI support group” Yoshioka Daisuke (member, school management comitee) reports the activities and donation status. Please inquire within. “Himalaya primary school curry powder (garam masala) “. Graduates and their parents stone grind all the ingredients to make the powder. Enjoy it with rice, and any other meals. At MEGUTAMA, we use this curry powder for various dishes. We hope you try it out and enjoy! 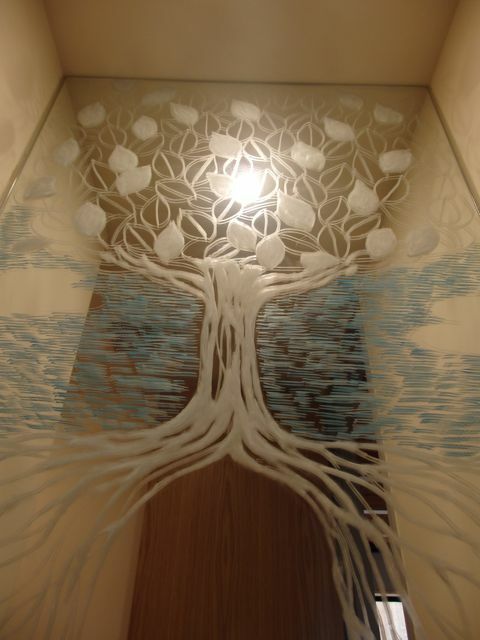 KITPAS is a solid marker, you can draw on glass surface, white boards. 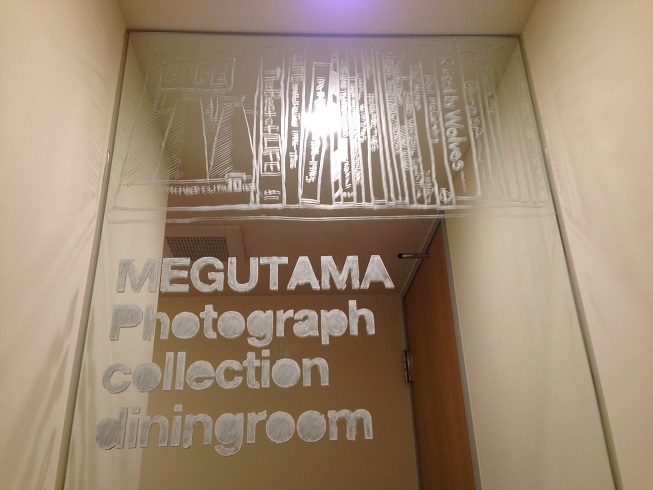 Artists draw freely using KITPAS produced by Nihon Rikagaku Industry Co., Ltd. on MEGUTAMA’s mirror, that is MEGUTAMA KITPAS gallery. 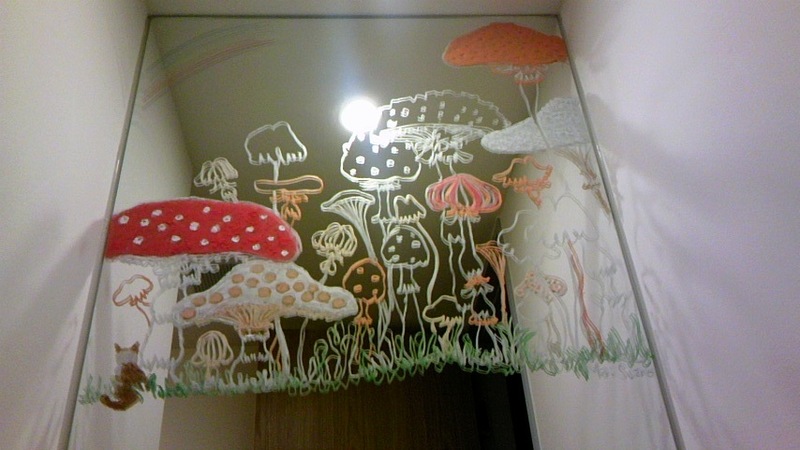 Between Dec 2010~Feb 2012, at Okado Megumiko’s former restaurant “Uenohirokoji Meguri”, Oyama Mari, Tokitama, Okado Megumiko organized window gallery events, painting, drawing, expressing on the windows using KITPAS. The new refreshed gallery is at MEGUTAMA now. Check out the bathroom mirror when you come to MEGUTAMA! You can see our previous activities on MEGUTAMA blog. WHO IS NIHON RIKAGAKU INDUSTRY CO., LTD? It’s a company that mainly produces chalk used at school. More than 70% of the employees are intellectually disabled. They are full time employees and paid more than the minimum wage, who are all critical part of our company. The company creates work environments where each individual employee can show their ability to the full, by improving tasks to meet with each of their understating levels. Nihon Rikagaku Industry was elected as “one of the most needed in Japan” by Proffessor Koji Sakamoto at Hosei Univercity. For more information, please check out “Message From Chairman Yasuhiro Oyama ― Another Mission of Nihon Rikagaku ―. It is a new writing material which produces no dust by NIHON RIKAGAKU INDUSTRY CO., LTD, you can draw/write on a smooth surface like glass or whiteboard and wipe off with wet cloth, an innovative new stationary style. It uses the same ingredients as lipstick, no dust, safe for children , bright, colorful and smooth to write. Write on paper, water soluble, mix colors, gradate colors, it’s so safe, use it however you want to! *Sold at megutama, come try it out. Inside the MEGUTAMA diner, there is a huge tree trunk underneath the planter. This magnificent tree trunk is merely not an interior decoration. It happens to be a 103 years old sawleaf zelkova tree that used to live on the land 20 years ago where MEGUTAMA stands now. In 1989, the landowner of where the huge sawleaf zelkova tree stood passed away, and by the new owner, an apartment complex was to be built on the land. Transplanting a huge tree is extremely difficult, and after hew down of a huge tree, it would be disposed as trash. If that’s the case, we wanted to cut down the tree by ourselves and use all parts of the tree, from trunk to branch to skin to leaves to roots, and all participants create art projects freely using parts of the tree to exhibit. That’s how the “ONE TREE PROJECT” began. The active organizer of this project is, the event coordinator and various job handler at MEGUTAMA, communication artist known as, TOKI TAMAKO, Toki Sayuri. 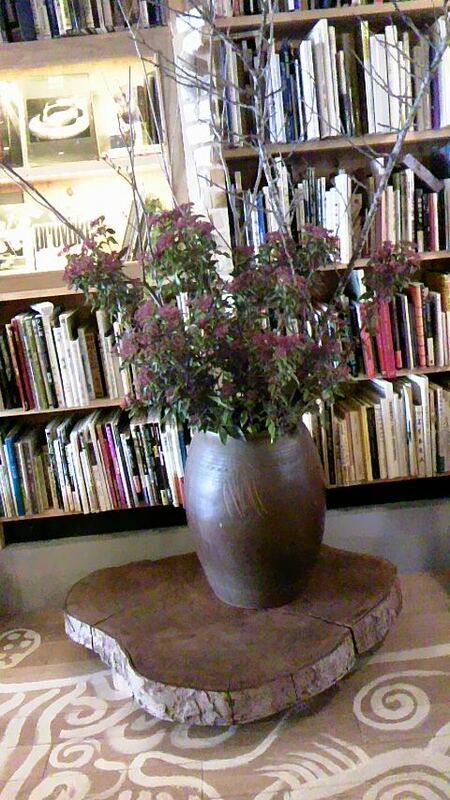 The project began by Toki Sayuri and sculptor•monkiri scholar, Ms,Shimonaka Naho. It started as a two persons project, but grew to be a huge project involving over 300 people. For more information, please refer to 「It started from ONE TREE」written by Toki Sayuri (Alice kan). Please inquire about the book at MEGUTAMA. At MEGUTAMA kitchen, we don’t use any synthetic detergents, we use baking soda. 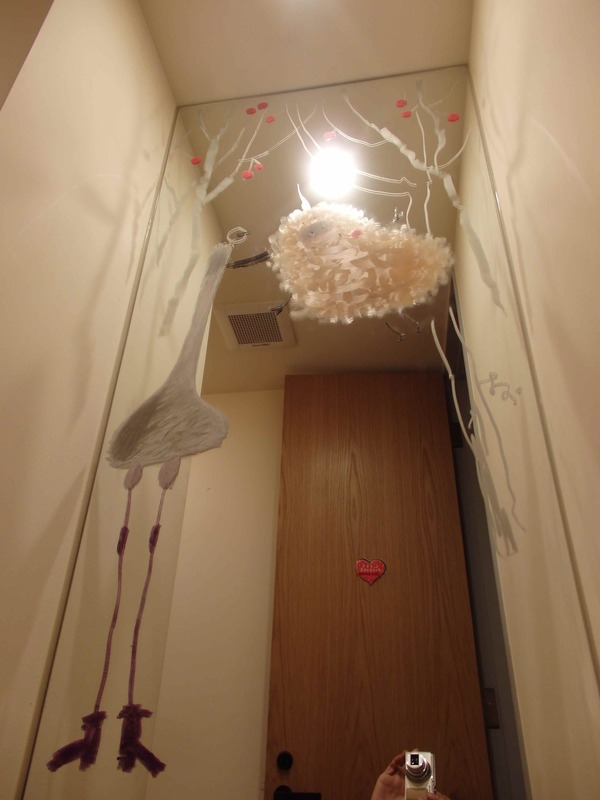 At MEGUTAMA, we invite Mr.Kiuchi as a cleaning instructor. He shares his expertise of laundry, washing with baking soda. Come join our baking soda club!